After a full year, I have returned. One year ago, I was able to lead a short term team from my church to the Tohoku region of Japan (in Iwate) to help in the relief effort with CRASH Japan. 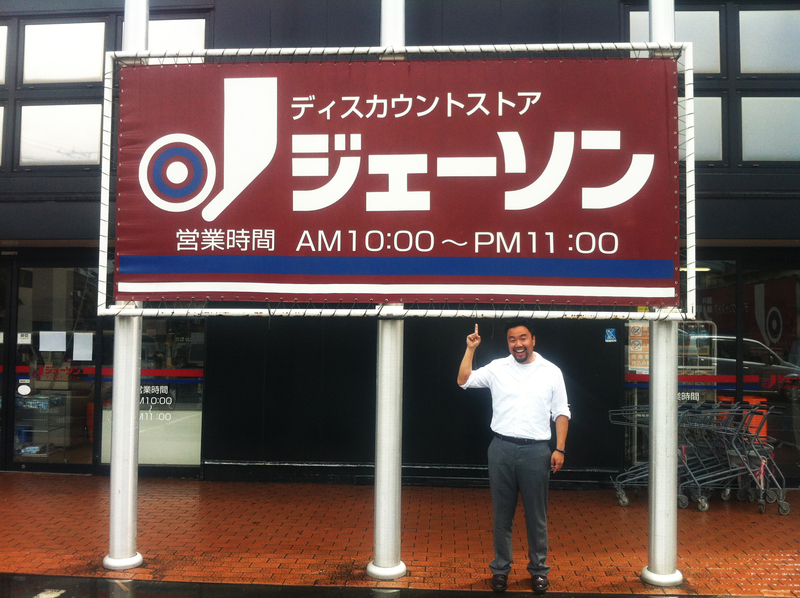 This year, I have returned with another team (the 3rd official team from our church to Japan since the tsunami). This time around, I’ll be in Ishinomaki and Minamisanriku, in Miyagi-ken (south of Iwate-ken). Most of the official written reflections of the team are on our team blog here. However, I wanted to use this blog to post a few other pics and thoughts that are more “off the record”. I’m hoping to give you a candid glimpse into the culture and our trip. So far, we’ve been meeting some great people and having some really amazing experiences. I am definitely falling in love with this country. This year, we’re working with a non-profit called SOLA. I’ll tell you more about it later, but it’s definitely a great org to sponsor. 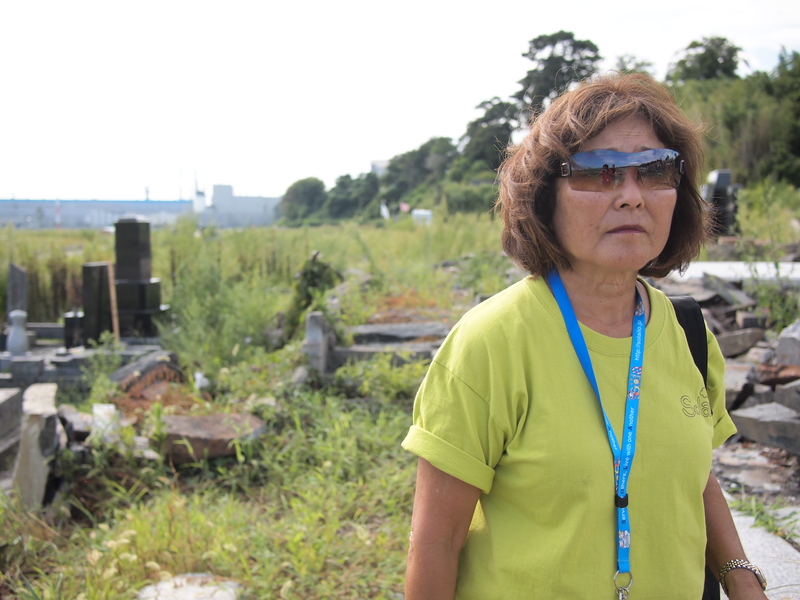 They’re working with children in the temporary units to help rebuild the Tohoku region. First, I want to introduce you to my team. From left to right: Tomomi Onaya, Wayne Muramatsu, Janelle Tom, Erika Wong, Makito Umekita, Judie Jue, myself, and Martin Au-Yeung. We found these robes in one of our hotels and decided they were just what we needed to take a great picture. These are the men and women that I’m spending these few weeks with. Our days are filled with laughter and with tears… as we experience both the beauty and pain of the Tohoku area. I am so grateful to have such an amazing team. Each one of them bring something important to the table… whether it be a crucial skill or a warm personality. Here is a closer look at a few of these outstanding individuals. This is Janelle. She’s amazing with children and has so much compassion for the people around her. We were working at an old shrine and this Japanese fisherman gave her this broom to clean the shrine steps. 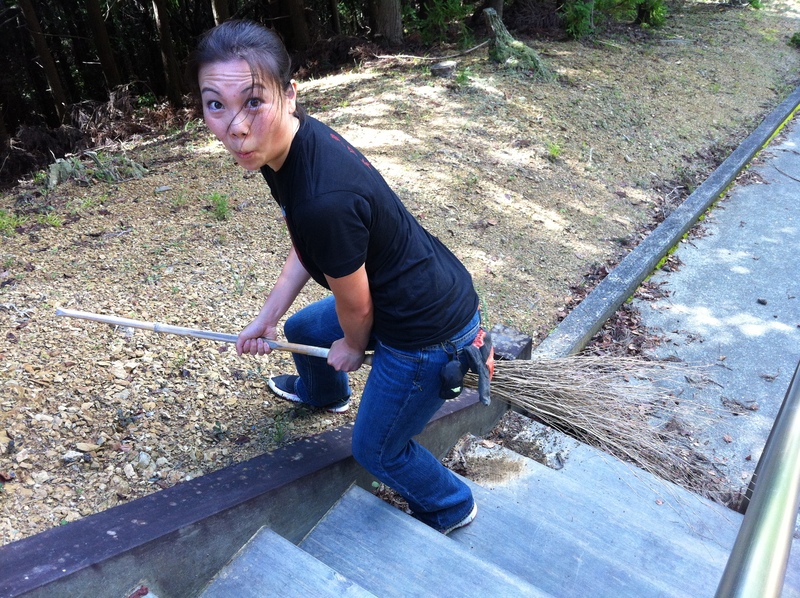 It looked like the broom from Harry Potter, so I asked Janelle to give me her best Quiddich pose. Her nickname for the trip is Nikki-chan (apparently Janelle is too hard for a Japanese kid to say). This is Martin. We gave him the name “Mabo” (as in Mabo Tofu) for this trip so the Japanese kids could have an easier time pronouncing it. He is our recreation master for the trip… bringing a multitude of games for the kids. 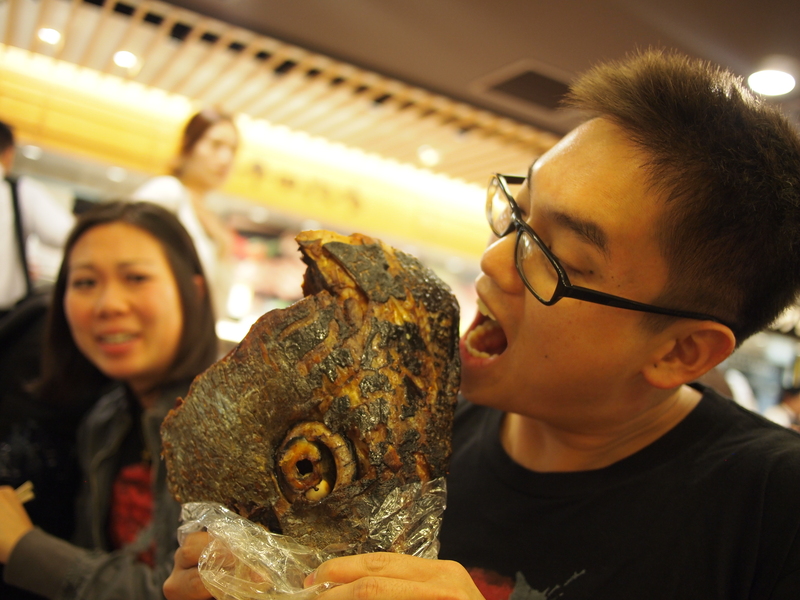 Here, Mabo takes a bite of a fish head he bought for lunch for 1200 yen. Why, Mabo… why. This is Judie. She is by far the coolest, healthiest 70 year-old in the world. Judie has such a heart for children… especially the children here in Tohoku. She’s our team chef for team 3… keeping us well-fed and healthy. She was even willing to help one of our team members administer an enema. I know, gross. Don’t ask. This is Makito (nickname: Makooties). 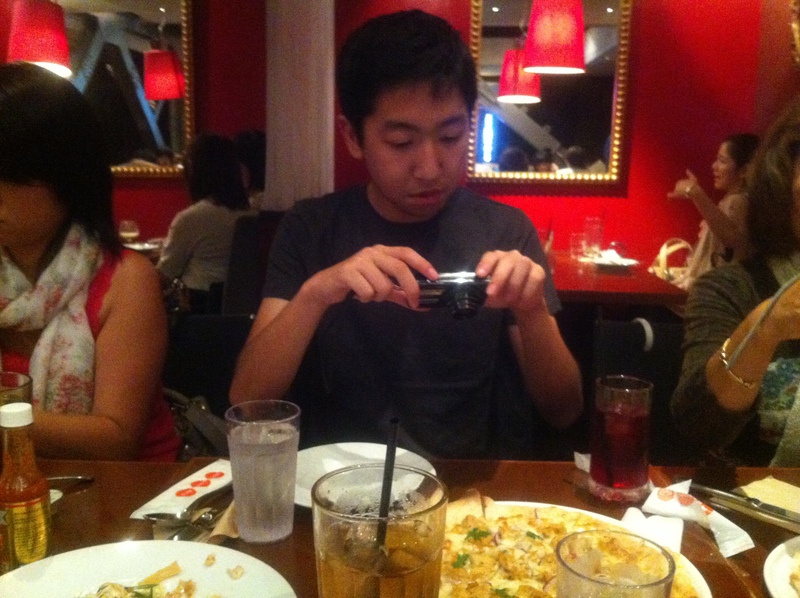 In true asian fashion, he takes pictures of all his food (and he eats A LOT of food). He’s only 19, but he’s an excellent interpreter for our trip. Although Makito is a Nikkei (Japanese American), he goes to a Japanese church service every week and he speaks Japanese at home. He’s so much fun to have around. Oh… and BTW, he eats A LOT. Kore wa Wayne desu. This is Wayne (nickname: Wandering Wayne) and he LOVES vending machines. 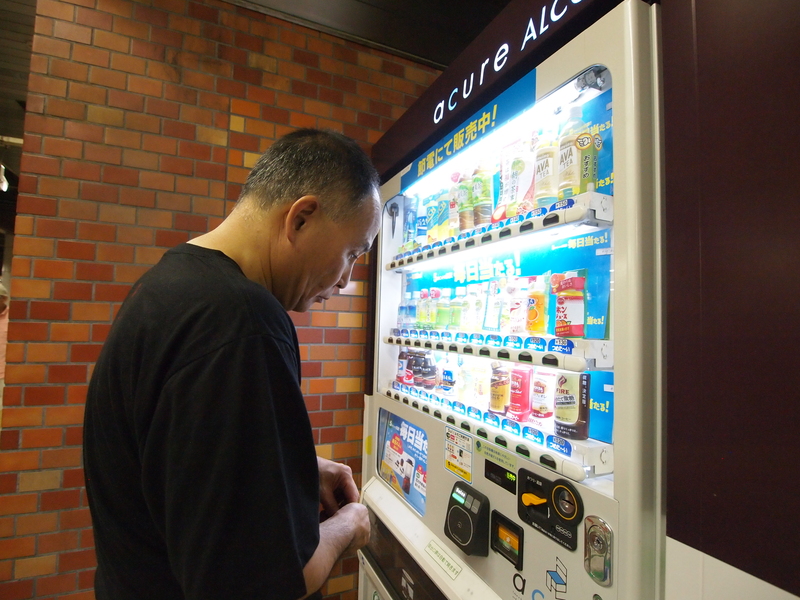 He tries a different drink at every vending machine we pass (note: there is a vending machine on every corner). Wayne has been incredible on this trip. He jumps right in with the children and interacts with them. He lived in Japan until the age of 5, and now, 50+ years later, he can somehow recall a latent ability to speak Japanese with the locals. This is Erika. She worked so hard to come up with crafts, art projects, and cooking projects for the children on this trip. She’s definitely the sweetest person on our team, and it shows in her interaction with the kids. I think everyone on this trip is gaining weight from all the Japanese cuisine except her… mostly because Makito takes all her food. 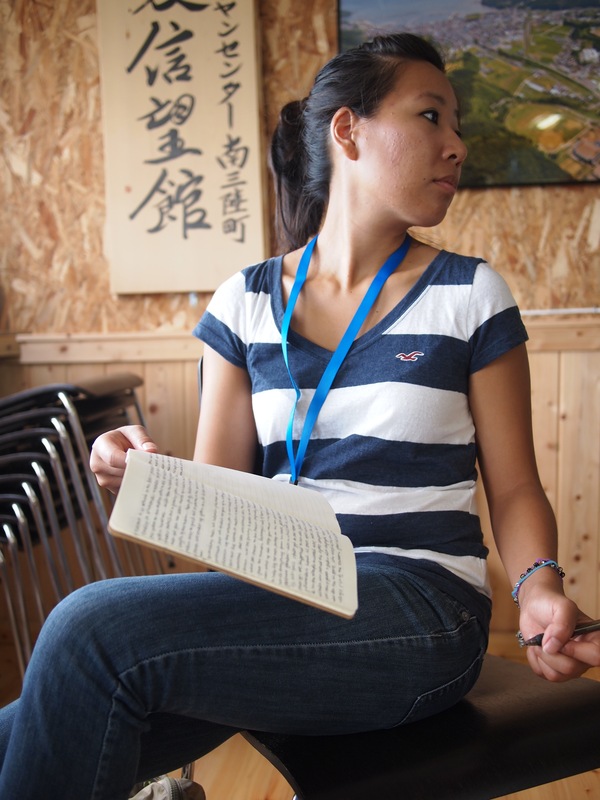 Our navigator and interpreter – Tomomi. She has been our link to the country and the culture. We would have never left Narita airport without her. Tomomi is an AMAZING woman. She moved away from Japan 10 years ago to go to school in the states. Since then, she heard God calling her to move back indefinitely to minister. So, when the rest of the team heads back to the US, Tomomi will stay. 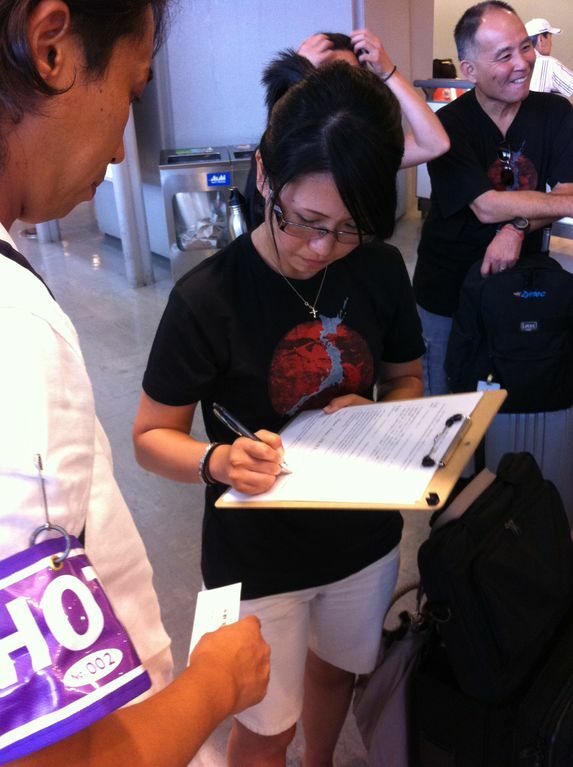 Here she is signing a release for a Japanese TV show we got interviewed for. Well, that’s the team! Stay tuned for more posts about these great people and our adventures in Japan. 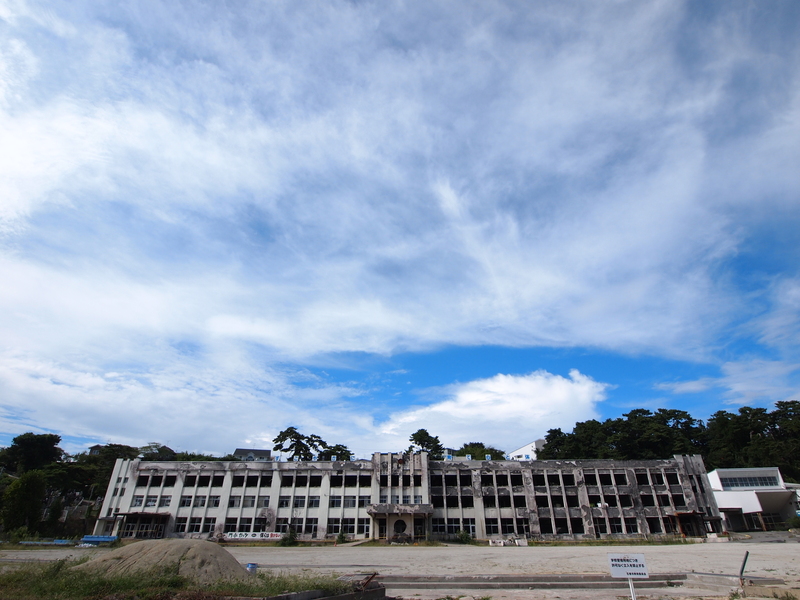 Until then, I leave you with this picture of an elementary school in Ishinomaki. 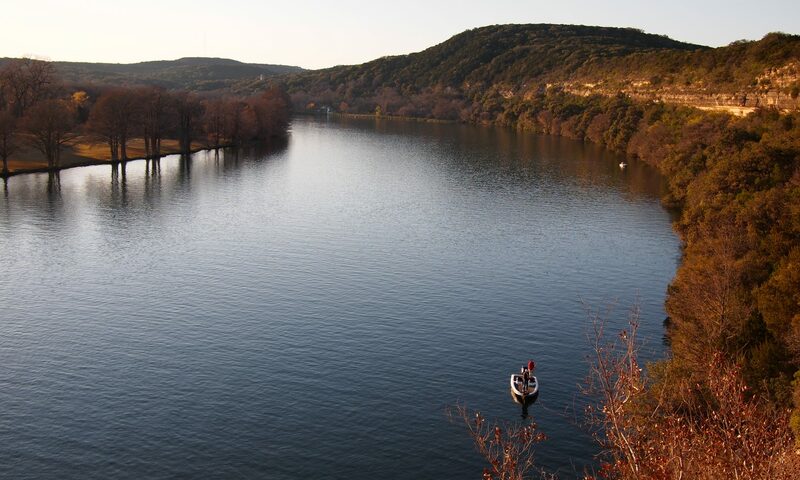 It is a solemn reminder of the tragedy that struck just a year and a half ago. Previous PostPrevious Star Wars Summer!